April 29: 5 POWER Lessons From 5 Leaders Who Made History On This DAY! Imagine a world filled with achievers. Also imagine how amazing it feels when you become a winner and do your part to fill this world with achievements. Read on to learn more about how you can become a reason to bring such amazing imaginations to reality. You may go up but you cannot stay there because your co-player is also given equal priority and hence, you got to come down to push the other up. In reality, we play see-saw with our desires and challenges. Not everything in the world supports you every time. Yet, you still try to fetch all that gives you energy to battle against problems to win your desires. Obstacles don’t really stay up all the time; your love to succeed always encourages your progressive growth to reach the top by pushing all your worries down to the ground. 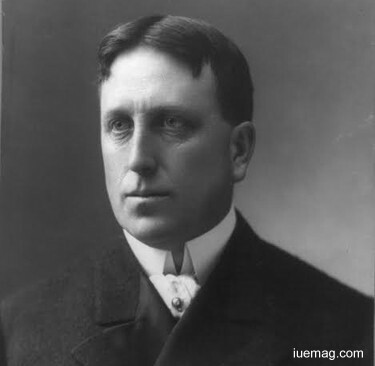 William Randolph Hearst perceived life in an entirely different angle wherein he gave importance to divine truths and accommodated all the facts into his life. Rather than celebrating his victories, he understood that his win would not be on always. Hence, he focused on ways to keep his growth up by not letting challenges and problems overtake its position. The American newspaper publisher once dreamt to build the nation's largest newspaper chain and Media Company and he founded Hearst Communications. Inducing an era of yellow journalism, he successfully influenced nation's popular media by bringing in sensationalism. A puppet must always obey and follow the orders of the master. A master, more than dominating, instructs, guides and appends ‘right’ to the deeds and actions of the puppet. Mind plays the role of the master which doesn’t just guide, but also imbibes ideas, spirit and a reason for you to achieve. The mind being the master controls the actions, moves and deeds. Hence, every move we make is a puppet under the positive influence of the mind. We win if we think we do! Mind is a chamber for the derivation of thoughts and the thought process is something that puts life all our dreams and steps to achieve them. 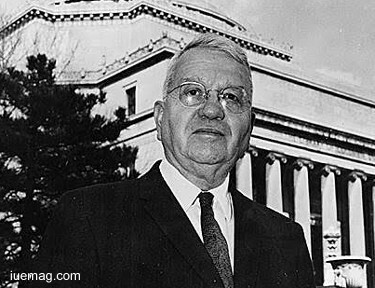 Harold Clayton Urey listened, followed and respected his master - the mind. He inculcated an attitude of accepting, analyzing and implementing the orders passed by his master; his life related his mind and its thoughts to master and his actions and behavior to a puppet. Without anticipating, predicting and questioning anything, he believed in his thinking abilities and trusted his mentality. The American physical chemist won the Nobel Prize in Chemistry for his pioneering work of discovering deuterium. Playing a lead role in the development of the atom bomb, he contributed theories which stood promising in the matters which he dealt with. A planed sequence of actions always win compared to random attempts. Sit back and give it a deep thought as to what has to be done and what is it that you exactly want. Now figure out what are the actions which are to be acted and number all the moves which you must make in an orderly fashion. Sequence all that you’ve thought of and raise a clean and organized plan that behaves as a guide to all that you’ve undertaken. Think with a positive attitude and pure heart; this helps you capture the facts and truths which have direct impact on your growth. Creating a constructive procedure or an action plan must be your priority even before thinking about what exactly the problem statement is. 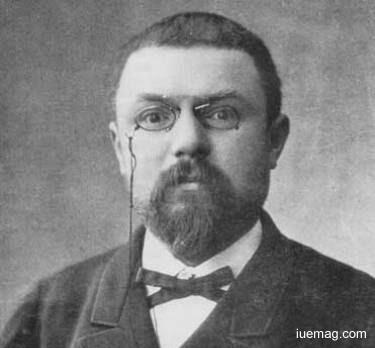 Jules Henri Poincaré being an achiever, implicitly inherited qualities which laid the steps of the staircase, leading to success. The French mathematician, theoretical physicist, engineer and philosopher of science gave life to the original fundamental contributions to pure and applied mathematics, mathematical physics, and celestial mechanics. The polymath excelled in all the domains of all what he was involved in. He managed to score almost perfection in everything he did by exercising the principle of working to the fullest to achieve the fullest. Life is a stream of ups and downs which always flows and stops only when it has found its destination (sea or an ocean). Ups may be wins, achievements, success and glory whereas downs include loss, downgrading incidents, problems or hindrances. Our past, present and future are all compilations of such streams which are heading towards their destinies. The pleasures of weighing the ups and downs and switching between them lead us to the understanding of the actual essence and beauty of life. River never pause its flow and if it does, then it is not a river at all. Never even let the thought of giving up, enter your mind. The only way you overcome every stream of reality is to use the power of hope, belief and inner strength. These are all only keys to direct your stream of life to its destination. 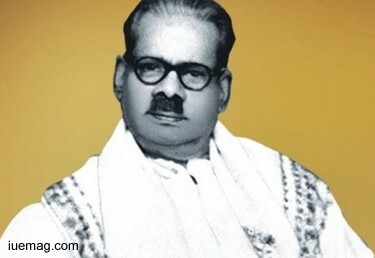 Kanakasabai Subburathinam (Bharathidasan) was a 20 century Tamil poet and rationalist who used his passion for writing as a tool to direct, invoke and stabilize success into his life. He radiated positive vibes through his skills and ensured they guarded his share of success until he caught hold of them. He transformed the downs which he witnessed in his life into catalysts. He led the growth of the Dravidian movement. The equally distributed positivity and negativity in the life streams were treated wisely and enabled him to win. Achievements, victories, ecstasies, fame, name, awards, rewards and success roll down to your part easily and surely when the your mind, heart and body are governed by the tinges of motivation, encouragement, hope, courage, patience, dedication, perseverance and determination. Let your thinking ability, mindset and actions fatten by consuming the strength of your willpower, aspirations and desires. The balloon forgets the world and proceeds high up into the sky, reaching the clouds and streams more high to fulfill the meaning of touching the sky; same is the case in our real lives too. We strive, face and win as long as we are stable at our decisions. 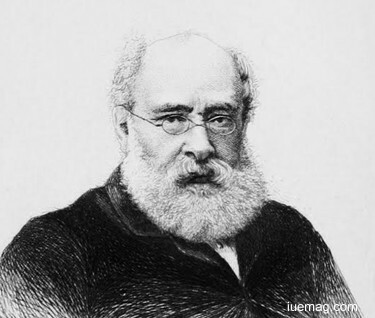 Thomas Adolphus Trollope envisioned becoming a true winner and also laid the way to achieve what he wanted to. He flew in the air of positivism; he blew in motivation and spirit into his mind to facilitate its achieving flight. Believing in winning what he wanted to, he wrote over sixty books. He retained his confidence and thickened the ray of hope by reinforcing the learnt lessons and lessons which he obtained from his mistakes. He was awarded the Order of Saints Maurice and Lazarus by Victor Emmanuel II of Italy for his dedicated efforts. Believing in ourselves and trusting our abilities truly lead us towards success. But alongside, we got to decide and abide by our decisions at all costs. Use the decisiveness which you are blessed with to empower yourself. Any facts, figures or references stated here are made by the author & don't reflect the endorsement of iU at all times unless otherwise drafted by official staff at iU. This article was first published here on 29th April 2017.